Looking for help with a Vandalism Claim? 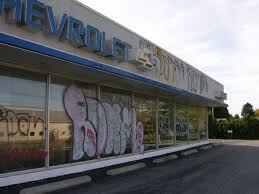 A vandalism damage claim will leave you with more than a financial loss, they will leave you feeling very violated. The last thing you want is to have to fight with an adjuster about the damages. When properties are vandalized not all of the damage is obvious or even visible. What is typically noticed is the graffiti, broken glass, holes in walls, etc…but there is typically more damage. Your insurance company employs a claims adjuster to work on their behalf. They will either be a Staff Adjuster meaning that they work as a direct employee of the insurance company or they will use an Independent Adjuster who can represent several different insurance companies. These adjusters are paid and trained by your insurance company, do they have your best interest in mind? Insurance companies do not make any money paying claims, actually, the claims division is most likely their largest expense and therefore the easiest place for them to increase their bottom line. We on the other hand, as your Public Adjuster exclusively represent Policyholders throughout the vandalism claim process. Our passion and expertise is to put an accurate dollar value on your Vandalism Damage Claim and relentlessly fight to recover it from your insurance company. We don’t work for the insurance company, we work directly for you and handle your claim with ONLY your best interests in mind. We are State licensed Florida Public Insurance Adjusters. Greg Roover, the owner of Claim Concepts brings experience working on both sides of the fence, being trained by the Big Insurance Companies as a Past Independent Insurance Adjuster, he knows how they work, think and act. His experience working on both sides has helped numerous property owners achieve the claim settlement that they deserved. You probably have enough to deal with right now without the headaches associated with your vandalism insurance claim. Our job includes the preparation of building damage estimates, contents inventory lists and documenting all of your other losses. We handle all the tedious tasks of compiling, filing and settling your vandalism damage claim for the maximum amount available under your policy. Don’t settle for less than you deserve, let us fight for you!